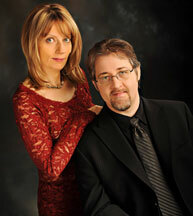 The Chopin Academy of Music, in Issaquah, is synonymous with quality. If you are searching for the premier place to go for flute lessons, voice lessons, piano lessons or violin lessons in Bellevue, Issaquah, or Sammamish, the Chopin Academy is the clear choice. Whether your goal is to enrich your life artistically through flute, voice, violin or piano lessons, or to prepare for a lifelong career in music, the faculty of the Chopin Academy can bring those wishes to fruition. Through our faculty’s superior extensive and international education and pedagogical experience, we provide the highest possible quality piano lessons, voice lessons, flute lessons, and violin lessons in the convenience of a community music school with fun and panache. The Chopin Academy of Music offers numerous flexible programs from private piano lessons or violin lessons to music appreciation classes, theory and ear training, or other classes tailored to suit the individual needs of our students. Each instructor customizes a program for each student that not only aims for the desired goals, but also suits one’s time schedule and needs. The Chopin Academy of Music provides private lessons in piano, flute, voice and violin, as well as small group instruction in performance, chamber music, music history, music theory and ear training. It is the obvious choice for the finest music education in the Pacific Northwest, proudly serving the communities of Issaquah, Snoqualmie, Sammamish, Bellevue, Redmond, and Seattle. Conveniently accessible by I-90, we are located in the heart of historic downtown, Issaquah.The Chopin Academy of Music is a leader in the Seattle metro area, preparing students for high-level concerts, with opportunities to perform in prestigious venues and centers, such as Benaroya Hall, and also sponsors the annual Seattle International Piano Festival and Competition, which organizes several festivals, concerts, and events in the Pacific Northwest. Students who enroll in piano lessons or violin lessons at the Chopin Academy of Music must be prepared to join a welcoming community of energetic and inspired students and parents who strive for success and excellence in music. If music matters to you, then you belong at the Chopin Academy. The Chopin Academy of Music is a leader in the Seattle metro area, preparing students for high-level concerts, with opportunities to perform in prestigious venues and centers, such as Benaroya Hall, and now Carnegie Hall in NYC. The CAM also sponsors the annual Seattle International Piano Festival and Competition, which organizes several festivals, concerts, and events in the Pacific Northwest. Students who enroll in flute lessons, piano lessons, voice lessons, or violin lessons at the Chopin Academy of Music must be prepared to join a welcoming community of energetic and inspired students and parents who strive for success and excellence in music. If music matters to you, then you belong at the Chopin Academy. Students of the Chopin Academy of Music belong to an elite group of people who share the bond of music. The following pages detail important information and valuable considerations for prospective students, whether one is a child or an adult, as well as a place to display the merits and accolades of our many talented students. It is obvious to us that when one takes into account our faculty, accomplishments, and facilities, that the number one answer is quality. All our teachers are carefully chosen to provide the highest level of education and service to each student. Our instructors must have the minimum credentials of a master of music in instrumental performance, while most have the highest possible education (doctorates in music). We are not a collection of rooms that are rented out to anyone who is willing to pay the fee, as most facilities are. We have a unified music program in which all teachers work together to build a comprehensive music education for everyone. Instrumental lessons, group performance classes, and musicianship classes make it possible for every student to attain his or her potential, regardless of age, talent, or level. All of our instructors excel in teaching from the earliest beginners to the most advanced university-level students. When comparing us with others, notice that we do what we preach. We are active performers, known in the stages of the Pacific Northwest and beyond, as you will discover by reading our faculty biographies. Instrumental lessons, for centuries, have always been a relationship of pupil and master, who will always be able to demonstrate the artistic and technical aspects of any piece of music. A sensible student or parent should be wary of a teacher who has not touched the instrument for years. Furthermore, Chopin Academy of Music provides rooms and instruments that are spacious, elegant, and inspiring with comfortable seating for parents or listeners. We work closely with local instrumental stores and halls, reserving venues for students to display they skills and artistry frequently throughout the year. If the quality of the education that you seek matters to you, the Chopin Academy of Music is the obvious choice. or “Piano Lessons,” get a business license and legally run a studio. In the state of Washington, anyone may obtain a business license for $15 annually regardless of credentials, qualifications, or background and call himself or herself a music business. In such situations, all the responsibility lies on the shoulders of the adult student or parent to find a qualified teacher. Many think that anyone can teach beginners, or that they do not need the most qualified teacher to have fun learning a new instrument. WRONG! By saving a few dollars with an unqualified teacher, you are imposing poor habits that will likely be impossible to change later and that may even lead to injuries and diseases including Carpel Tunnel Syndrome, Tendinitis, and Focal Dystonia that have the potential to plague a student for a lifetime. As an example, do not think that piano playing is like typing and learning to wiggle the fingers. The entire body must be seated and positioned precisely, from the feet to the neck, in order to develop healthy, injury-free technique. A graphic manual on posture will not suffice, since every student has unique body proportions. If taught correctly, piano playing should never cause any pain or discomfort and can bring hours of daily fun and satisfaction while experiencing the art of music. Furthermore and most importantly, only correct technique may bring a truly beautiful sound to the instrument; and isn’t sound the most important aspect of music? Frederic Chopin (1810-1849) was a legendary romantic composer of Polish origin. Throughout his entire life, his concert appearances numbered less than forty. Showcasing himself was not his primary concern, as was the case for many other virtuosi of the day. When performing, he often improvised and preferred smaller gatherings over large public venues. His main focus was teaching and composing. -Mikuli, pupil of Chopin; found in Tad Szulc’s Chopin in Paris, The Life and Times of the Romantic Composer, Da Capo Press, New York, Scribner, 2000, p. 239-40. His approach to technique was perhaps one of the most revolutionary in the history of piano performance, emphasizing flexibility, fluidity, suppleness of the wrists, all of which contributed to his sublime world of sound and expression. The founders of the Chopin Academy, throughout their extensive international education, had the privilege to study with some of the world’s top Chopin interpreters. The knowledge, insight, and skills that they learned from such masters as Professor Andrzej Stefanski (a grand-pupil of Ignace Jan Paderewski), Tatiana Shebanova (a prize-winner of the international Chopin competition in 1980), Marek Jablonski (a legendary Canadian Chopin artist), and Dr. Henri-Paul Sicsic (a powerful pianist and grand-pupil of Alfred Cortot), heavily influenced their own performing and teaching styles.